Abby loves to run in the AKC Lure Coursing events! We are working on finishing her next two coursing titles. She and I achieved her AKC Championship with three 4 point majors and a 5 point major! This girl loves to ride in our side by side 4-wheeler. Last year she earned a UKC Reserve Best in Show. Recently we received her AKC Achievement Dog Certificate. 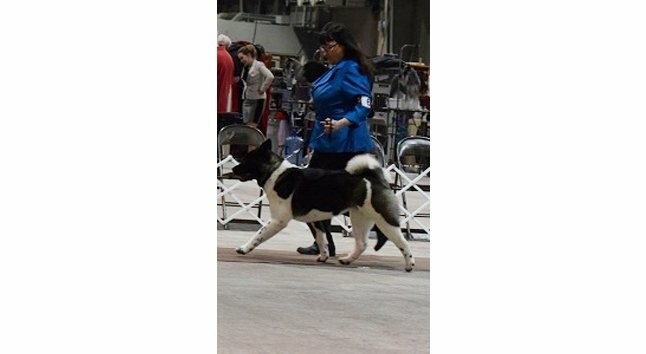 Abby is our 4th akita to earn Versatile Akita certificates through the ACA Versatile Akita Program. She is co-owned with one of her breeders, Michelle Mosher, Silverado Akitas in Colorado.